Gold is an obvious investment and this Mulberry Mabel bag, £876 from Net-A-Porter, is a seriously blingly investment item, if you can afford to splash the cash. Gold, silver or bronze handbags never go out of fashion and are ideal for this time of the year and the height of summer, to really lift an outfit. Earlier this year, I bought this J for Jasper Conran gold leather bag for £38. I've only just started using it, as it really lifts an outfit in the gloomy wet and cold weather. 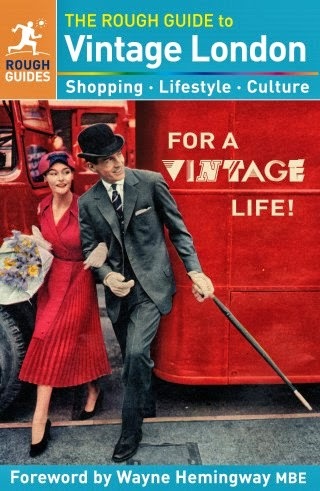 It will also be ideal for trips out in summer too, with vintage summer dresses. Do you go for gold with your accessories this season? I am normally not a fan of gold, but I suddenly like old gold.. kind of bronzed kind of gold..
Hi fabulously broke-yes, I also like a more subtle gold, thanks! Your bag is very pretty, and ideal for banishing a bit of winter gloom. I live on the Gold Coast so you'd think I'd have lots of gold accessories, but I overdosed on them a few years ago and not ready to go back yet. How I love your bag, my dear!!! I like subtle gold too but sometimes there is an inexplicable need for an outrageously blingy gold bag...! I like the golden colour in an evening bag and a clutch rather, but your bag fantastic. :)I feel...I am pale to the gold colour. BUT: your skin with gold colour combination is perfect. I just acquired a silver clutch and I'm not sure about it. Your gold bag looks great. You will have to take a photo with one of your outfits so I can get some inspiration. I always approve of gold! both the mulberry and J for jasper conran bags are delish my dear.metallics are perfect for this gloomy weather! i know you will be looking great with yours. 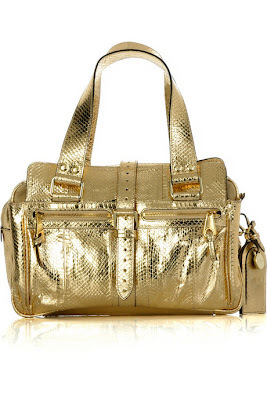 Hi skye-I love gold, but won't go overboard on it, the JC bag is just enough for me! Hi the seeker-thanks and good luck on your search for one! Hi winnie-yes, there are certainly some out there, haha! Hi janettaylor-thanks and yes, I agree, a clutch is perfect in gold! Hi lenya-I'll try and do that soon, the silver clutch sounds lovely! Hi wendy-yes, I know you a have a real love of gold, LOL! Hi atelier-look forward to seeing your new bag! Hi the healthy ghost-yes, great choices! Hi marian-thanks for your lovely comment and happy new year too! Hi lacouturiernyc-funnily enough, in jewellery I am too! I'm very very much into gold. I agree with everything you've said about it! It's a great investment and really dresses up your look. Hi christina-thanks my dear, it never goes out of style either. Have a happy new year with lots of gold!! Hi kate-Happy new Year to you too my dear! Love Gold accessories. Hope you and your family have a wonderful evening tonight. Happy New Year!! i love gold...i think it goes so nicely with tan and darker toned skin...happy new year hon! 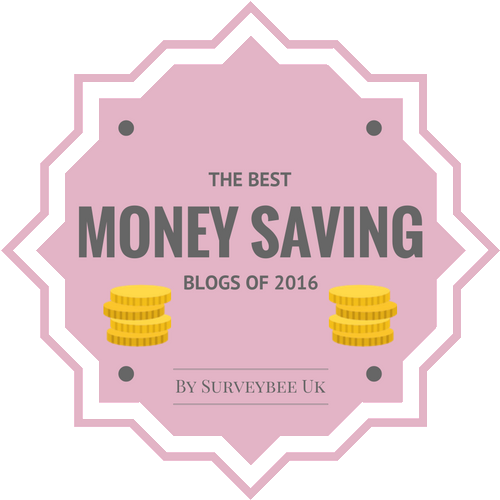 Hi Silje-thanks for your lovely comment and wishing you a happy new year too! Hi ren-thanks my dear and happy new year to you too! Have a LOVELY new year, beautiful!! Hi Sal-silver is an excellent choice for accessories! Happy New Year my dear! Gold is sucha classy color :) Love it! Happy New Year! Hi yiqin-thanks my dear and to you too! Hi pretty little pictures-isn't it!!! I'd rather have the money in my purse, haha! Happy new year! I'm dying to try something over-the-top, like gold shoes, stockings, skirt, and accessories ;) This is definitely a year for gold -- ironic since the economy is in the drains! Hi tara-yes, the right piece or pieces can really jazz up an outfit! !